With accept by Wirecard, your smartphone or tablet transforms into a card reader device in a matter of seconds. Card payment is one of the most popular payment options. Give your customers the opportunity to make convenient and practical payments by card. With accept by Wirecard, you can process payments made by debit card/Maestro card and credit card simply and securely – in your shop, at your customer's place or on the go. 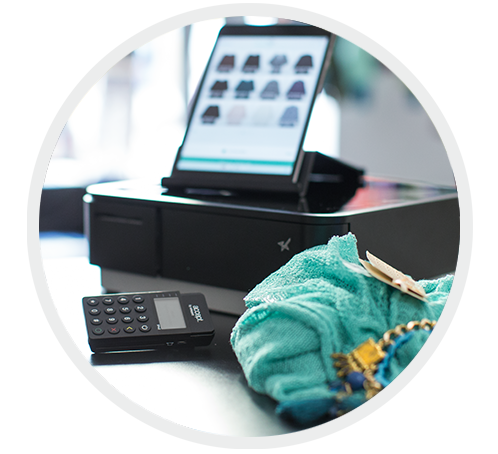 The cost-efficient and practical alternative to costly stationary POS systems is perfect for retailers, companies and self-employed people in every industry. To start accepting card payments with accept by Wirecard, all you need is the free app for your smartphone or tablet and the convenient card reader device – it‘s that simple. See for yourself! You can also add the item description. Insert the card into the card reader device connected via Bluetooth. Your customer confirms the payment by providing their signature on the display or by entering their PIN. 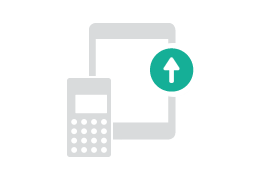 With the accept app and mobile card reader you can increase your sales sustainably. But accept can be even more - make it your checkout system! The clear presentation and categorised structure of the individual menu items ensures simple operation from the very beginning. During the transaction, you can conveniently make further changes to the number of units, total or overall value. The transaction overview provides an overview of your latest sales as well as sorting and individual overviews. Clear statistics and variable diagrams give you an overview of all your transactions. The quick tips menu provides an overview of all the key information and ensures quick orientation in the case of any questions. You can make changes and updates in the account menu and keep an eye on your account information at all times.